Dogtology: Live. Bark. Believe. - Jess Loves to Read! Before I read this book, I didn't really identify with any religion. Now I know that I am a Dogtologist...but I also love my kitties. 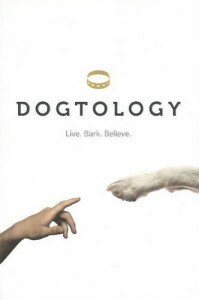 This book was really funny, because everything the author brought up about how people treat their dogs in today's society is true. The only qualm I had with the book was its length. It was a little long for the subject matter. About half way through I was wondering how much more there could really be to say on the topic. I kept going to the end to find out, though. Loved the book!Not as much as I love my dog, though!